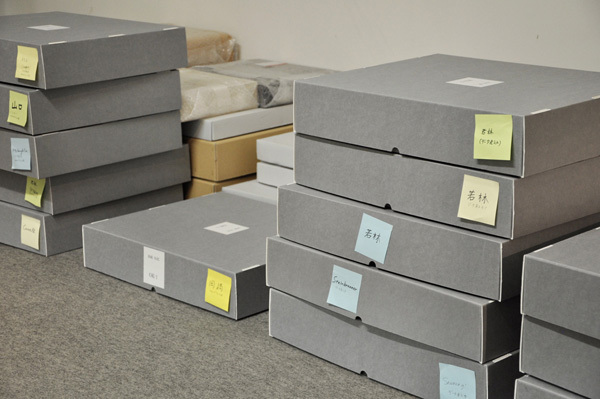 As one of the Archive project, JCRI has constructed the gallery archive of Shigeru Yokota Gallery starting its work from 2016. 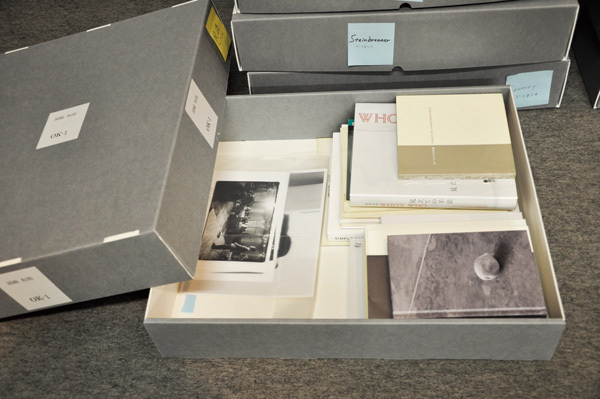 At Shigeru Yokota Gallery, it has collected various materials such as materials and books and other records of organized exhibitions related to the artists (Plate 1), who have relations with the gallery from its opening in 1976 up to now. The schematize of the construction of these materials is the following (Plate 2). At this moment, we are continuing the arrangements and making the lists of the books related to the artists. And from now on, we are planning to order materials (such as materials and photos related to exhibitions, materials of the artists, correspondence), integrate the format for the digitalization. Thesis, catalogues, announcement, posters, flyers, etc.